Ladies and gentlemen, I have added book editor to my list! Many years ago I attended NYU and acquired a certificate in Publishing and Editing which has come in pretty handy with the work I do. Let’s put it this way, I’m not a novice with my red strike! I’ve been editing and proofing copy for a number of years now, but this project was a big deal. When it fell into my lap, I was terrified and excited. Terrified at the prospect of editing a full-length novel, yet excited at the challenge I was entrusted with. It was such a terrific opportunity, there was no way I could pass on it! Book editor sounds snazzy, doesn’t it? The book was actually very fluid and well written, which in turn made my job so much easier. The writer was precise with her copy, had a quick and punchy tone that was easy to read and the storyline had my attention from the intro line to the last line written. All of the above made this project fun, thrilling and a pleasure to work on. I also went on to deliver a product with minimal errors to a very satisfied client. Not bad for summer work reading! Since then, I have gone on to proofread and edit a few books on my roster. Are you in need of an editor or proofreader for documents or a novel you’re working on? Feel free to contact me for details. Thank you to Meraki Publishing for the opportunity. 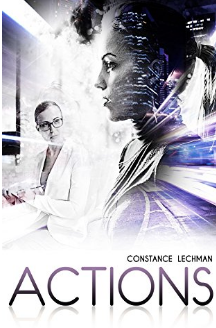 Congratulations to the author Constance Lechman on her recent release! You can purchase the book at Indigo, Barnes & Noble and other bookstore outlets. Previous Post Project Alert! I’m the Co-Editor of The 150 Extraordinary Canadians coffee table book! Next Post PROJECT ALERT! Working with The TD Black Diamond Ball for another year!